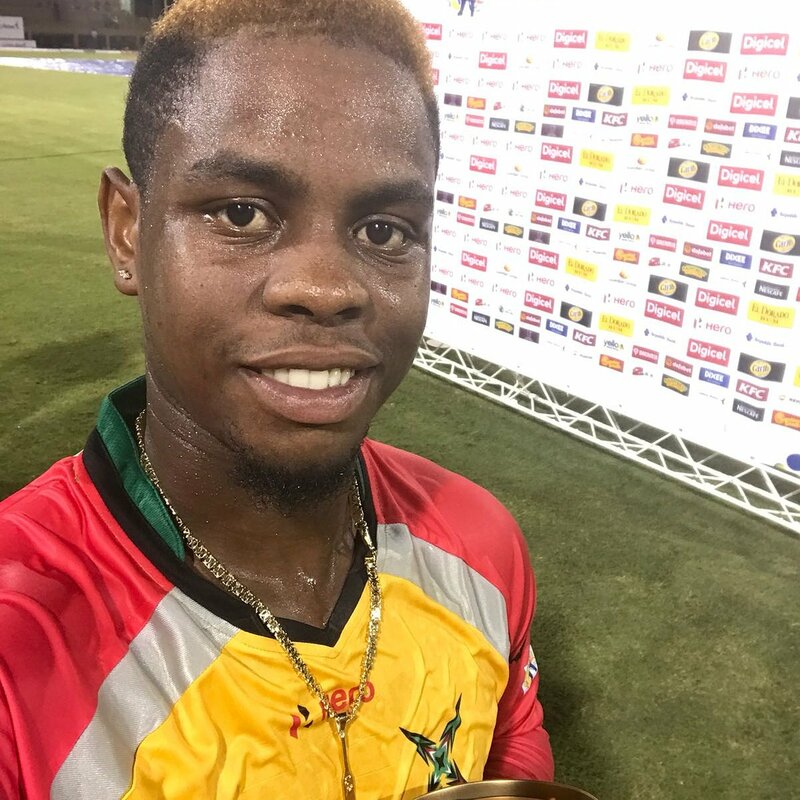 Carlos Brathwaite brought back memories of his 2016 ICC World Twenty20 final heroics with a six-laden cameo that helped fire St Kitts & Nevis Patriots to a commanding 42-run victory over defending Hero Caribbean Premier League (CPL) champions Trinbago Knight Riders at the Queen’s Park Oval. Brathwaite, who hit England’s Ben Stokes for four successive sixes to propel West Indies to glory in Kolkata two years ago, this time hit three Hero Maximums in three balls off Dwayne Bravo and five in all during an explosive cameo. 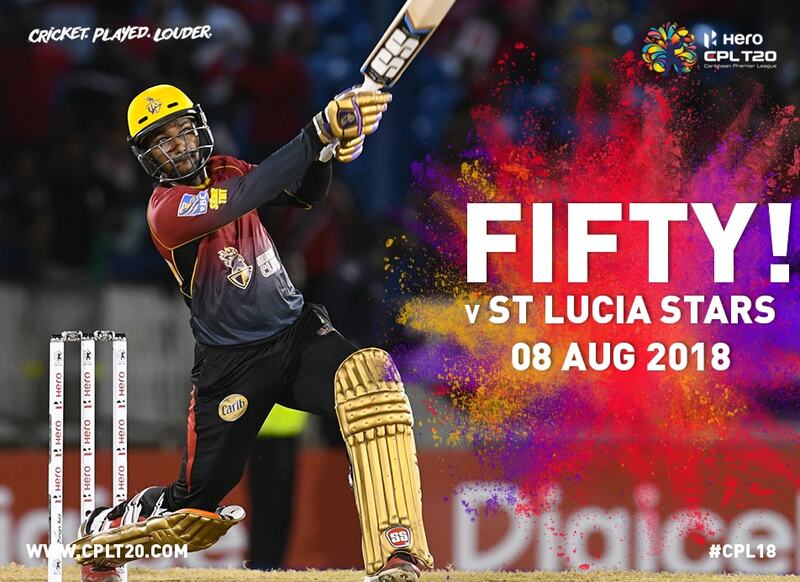 His 41 in just 15 balls was the key to lifting the Patriots beyond 200, and for good measure he then removed the in-form Colin Munro with the ball as the Knight Riders end their first home leg of the 2018 Hero CPL with only one win from three games. Munro had made half-centuries in each of the Knight Riders’ first two games and looked on course for another until he picked out Evin Lewis at deep square-leg on 35. By then the Knight Riders had already lost Sunil Narine, Chris Lynn – bowled by a googly in a wicket-maiden from precocious leg-spinner Sandeep Lamichhane (1/17 from three overs) - and Brendon McCullum for just 10 runs between them. With nobody to reproduce Andre Russell’s heroics from the night before, there was no way back for Trinbago from 56/4. Denesh Ramdin then fell to Jeremiah Louis to leave the Bravos to try and rescue something for the home side. When Dwayne hit Louis down the ground for six it ended a 42-ball boundary and only served to emphasise just how strong the Patriots’ stranglehold on the game had become. He fell soon after in desperate search of another boundary, while Darren also holed out having never truly got going in a stop-start innings of 41 from 38. Brathwaite picked up a second wicket when Ali Khan picked out Anton Devcich right on the boundary edge, and some late hitting from Kevon Cooper (42* off 22) did nothing more than restore a modicum of respectability for the Knight Riders. Heavy rain in Trinidad during the day had left the outfield saturated and made life difficult for bowlers and fielders throughout the evening, with frequent replacement balls needed due to them either being sent over the stands or becoming too slippery for the bowlers to control. Ali Khan, one of the breakout stars from the first week of action, made another stunning start with two wickets in the first four balls of the Patriots’ innings. First the dangerous Evin Lewis miscued a pull shot to midwicket before Dwayne Bravo produced a moment of magic at slip, diving full-length to his left to pluck the ball out of the air one-handed and send Tom Cooper packing for a single. Chris Gayle was circumspect as he and Devon Thomas set about rebuilding from that double setback, but was then dismissed just as he threatened to cut loose. 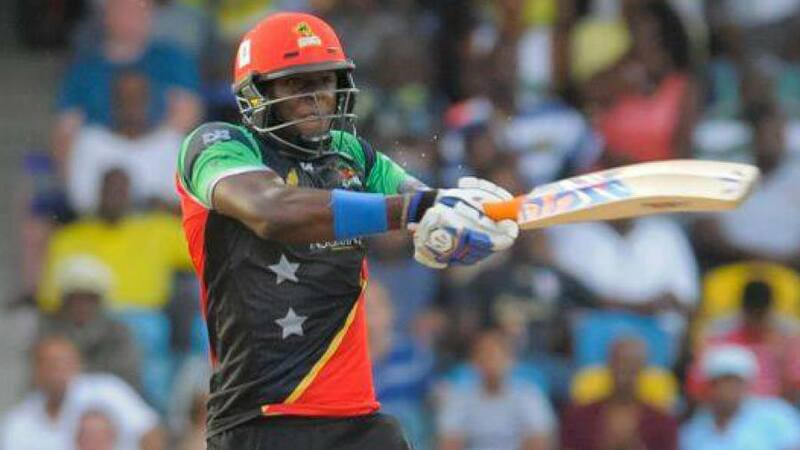 Having hit Dwayne Bravo for successive sixes, Gayle fell to Kevon Cooper in the very next over as he sliced an attempted leg-side heave to Ali Khan at long-on. After dropping Russell to such cost 24 hours earlier, the American this time made no mistake. 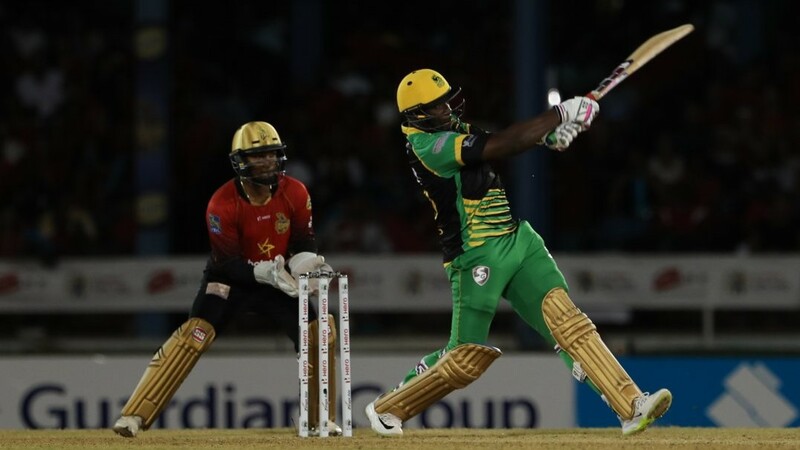 Thomas, meanwhile, was batting beautifully and reached a classy 28-ball half-century – his first in T20 cricket – with successive fours off Dwayne Bravo. Wickets continued to fall at regular intervals, though, with Anton Devcich, Thomas himself and Mahmudullah all departing. But that brought Ben Cutting and Brathwaite together for an explosive conclusion to the innings. In all, 56 came from the last three overs of the innings with Brathwaite the chief destroyer until he too fell to the persevering Ali Khan, whose 3/23 did not deserve to come in a losing cause.